Our resident astronomer James Wooten is back, and he’s here to tell you what to look up for this month! From meteor showers to solar events, December is shaping up to be an exciting end of the year. And of course he will give you the update on when and where to find your favorite constellations and planets. 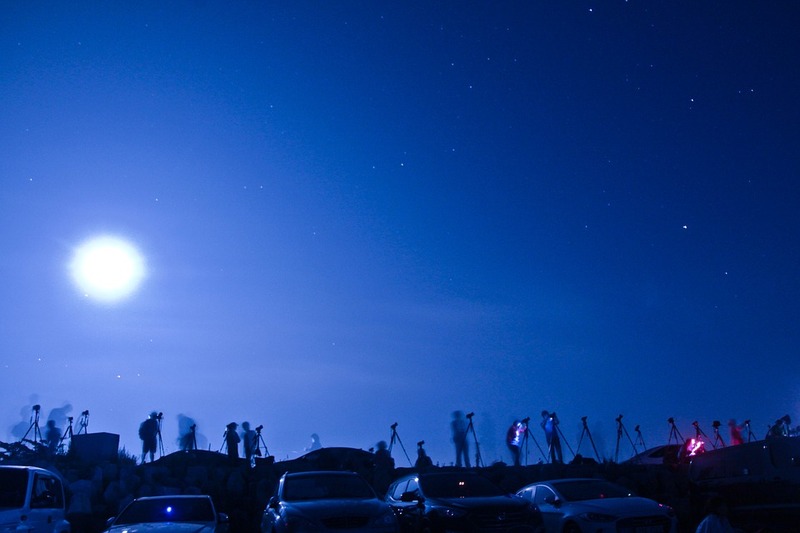 You can impress your date this December with your stellar knowledge of the night sky! 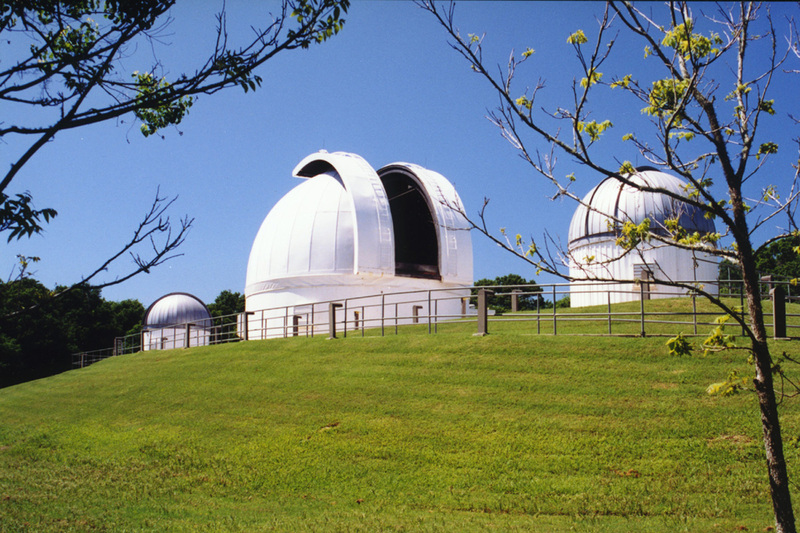 (By the way, Saturday night star gazing at the George Observatory is a great place to take a date) So sit back and put your astronomer hat on, because here’s the low-down on the high up! What are the Planets Up to this Month? Venus is a little higher in the evening sky this month. Look low in the west southwest in evening twilight. Venus noticeably approaches Mars more than in previous months. Mercury is visible just after sunset this month. Face west in twilight, and look low in the sky over the point where the Sun set, especially around the 11th. Mercury isn’t as brilliant as Venus, but it easily outshines the stars near it in the sky, so it’s not too hard to find. Jupiter is much higher in the morning sky this month. Look in the south southeast at dawn now, and more towards due south by month’s end. Saturn is behind the Sun and out of sight this month. The Summer Triangle sets in the west. Watch for the Great Square of Pegasus almost overhead at dusk now and in the west by Christmas. Taurus, the Bull rises in the east. Look for the Pleiades star cluster above reddish Aldebaran. Dazzling Orion, the Hunter rises shortly after dusk (by month’s end, it is already up at dusk). As Orion enters the evening sky, we transition from the relatively dim evening skies of autumn to the brilliant stars of winter. We are beginning to face away from the center of the galaxy, looking at stars behind us in our own part of our galaxy (the Orion Spur). 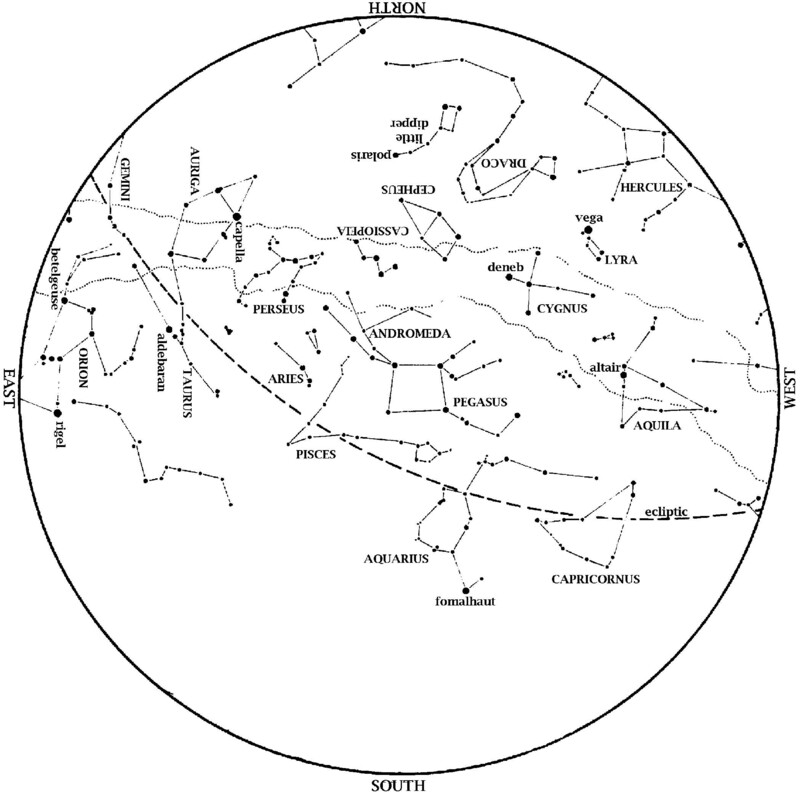 This star map shows the Houston sky at 8 pm CST on December 1, 7 pm CST on December 15, and dusk on December 31. To use the map, put the direction you are facing at the bottom. 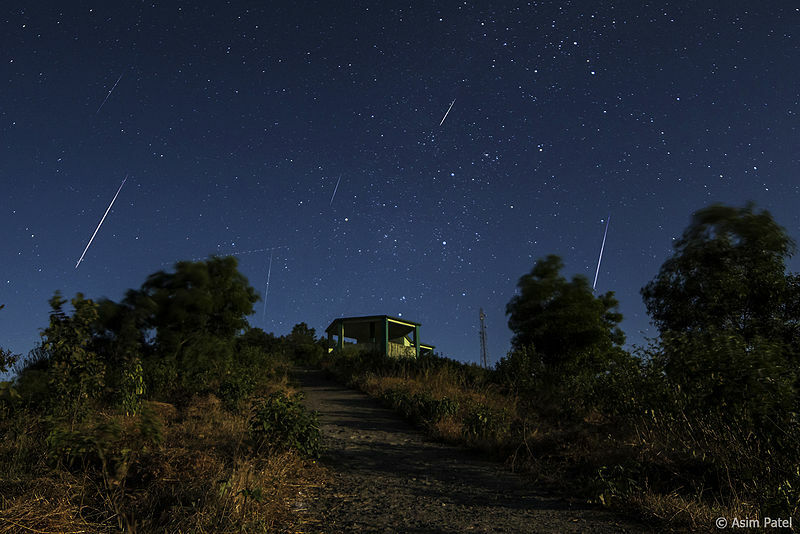 The Geminid meteor shower peaks every year around mid-December. This year, it’s the night of December 13-14 (although they’re active from December 4-17). Unfortunately, this year we have a full moon on that night, which will hide most meteors. At 4:44 am on Wednesday, December 21, the Sun will appear overhead as seen from the Tropic of Capricorn, the farthest point south where this is possible. That’s because Earth’s North Pole is tilted as far as possible away from the Sun at that time. That’s why this is our winter solstice, the day when we have more night and less daylight than any other. Below the equator, this is the summer solstice because the South Pole is tilted towards the Sun as much as possible. You will notice, however, that sunset on New Year’s Eve is up to ten minutes later than on December 1. Why, if the 31st is closer to the solstice? Although the shortest day (least daylight) occurs on December 21, the earliest sunset occurs for us about December 1. This is because the Sun’s apparent position in our sky varies like a sine wave; there is little difference in the Sun’s apparent height for about a month before and after the solstice. Due to Earth’s tilt, the Sun does indeed take a shorter, lower path across the sky on December 21 than on December 1, but only by about 1.5 degrees (your pinky at arm’s length blocks one degree). Meanwhile, Earth is slightly accelerating as it approaches perihelion just after the new year. This makes both sunrise and sunset happen a little earlier each night during December. Near the solstice, this small effect can dominate. Since most of us sleep through sunrise and watch sunset, days will seem to lengthen from December 1-21 when they are in fact still getting shorter. Do you have any astronomy questions or would like email updates on current events in the sky, at the planetarium, and at George Observatory? If so, send us an email to astroinfo@hmns.org.